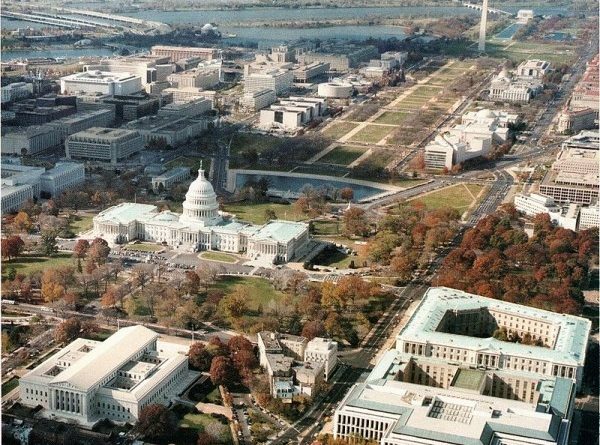 Washington D.C. remains one of the most expensive cities in the country to live. Many working families are having difficulty keeping up with the rising rents. However, the city govaernment has launched a new program to alleviate the crisis low income and middle class families are facing. Mayor Vincent C. Gray recently confirmed that the city has made substantial headway. Gray intends to build 10,000 affordable housing units by 2020. He said that the city is over halfway towards reaching that goal. While he will be leaving office in December, he is confident his successor will continue the affordable housing project. Gray is attempting additional steps to deal with the city’s housing problems. He proposed modifying the federal Height Act of 1910, which limits the heights of buildings to 130 feet. Gray is confident that raising the height limit could alleviate the housing shortage. Darrell Issa, Chairman of the House Committee on Oversight and Government Reform, also felt the issue should be discussed, but other members of Congress didn’t seem to feel that the issue was a priority. The Height Act has made it more difficult to increase the stock of housing units for lower and middle-class families. However, Gray and other city lawmakers are confident D.C. will still make progress in the months to come. Gray and other D.C. officials continue to take steps to increase the supply of affordable housing. Unfortunately, those solutions may not be sufficient to address the city’s long-term housing shortage. Aaron Wiener, a housing complex reporter for the Washington City Paper, said that the problems may intensify in the next few years. Wiener said that some of the city’s rent control measures are set to expire in 2020. According to a paper Bethesda-based Abt Associates prepared for the U.S. Department of Housing and Urban Development, at least tens of thousands of properties will be impacted by those expirations. As many as one million D.C. area residents could face much steeper rents in six years. Wiener said that some landlords may not raise their rates immediately, but rates will most likely increase as the housing market becomes more competitive. The D.C. real estate market is already highly competitive, indicating that prices are going to increase significantly after the price ceilings expire. Wiener feels the construction of 10,000 additional housing units will not be sufficient to help people that may be displaced if rents increase substantially higher. However, other experts are more optimistic. They believe that the city is making substantial progress towards achieving its affordable housing goal and will pursue new solutions in the years to come. Will Merrifield, an attorney with the Washington Legal Clinic for the Homeless told the Washington City Paper that the city can help these people by subsidizing rental costs. Some experts have criticized the government for failing to prioritize subsidies to needy families, but lawmakers have shown an inclination to expand aid in the near future. In any case, there is progress being made, and hopefully within the next six years, some other solutions will be found.